The nine-year business relationship with Resolute Mining’s Syama Gold Mine in Mali, for client Goudhurst of Australia, is a striking testament to the quality workmanship and value-for-money offered by Skyriders Access Specialists (Pty) Ltd. 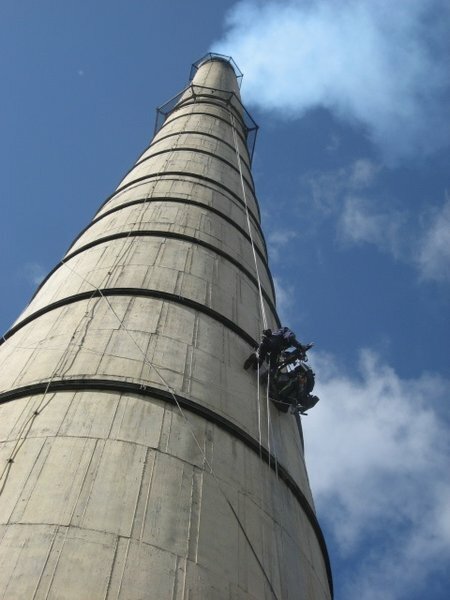 The extension of the original roaster smokestack at Syama in 2008 saw Skyriders carry out regular inspection and maintenance from that point on. When this smokestack was eventually decommissioned, Skyriders was called upon again to assist with building a new Greenfield smokestack. “This is now the third year we have been to the gold mine, just to verify the results of our last inspection and maintenance project,” Skyriders Marketing Manager Mike Zinn explains. Such is the close nature of the working relationship forged that the same team travels to the mine every time, due to the invaluable experience built up over the years, as well as the fact that visa and customs processes and procedures are facilitated as a result. The five-person Skyriders team, consisting of an inspection manager and four rope-access technicians, completed the project in five days. The scope of work was visual inspection of the roaster smokestack, both internal and external, with ultrasonic (UT) wall-thickness measurement where required. Describing Syama as a flagship project for Skyriders in West Africa, Zinn comments that it showcases not only the innovation, experience, and technology offered by South African companies, but that it is also more cost-effective to utilise local expertise due to exchange-rate fluctuations. “Mining houses can rest assured that service providers such as Skyriders not only adhere to all international health and safety regulations and standards, but also that we understand the African market, and are comfortable to work anywhere on the continent,” Zinn concludes. To download hi-res images for this release, please visit http://media.ngage.co.za and click the Skyriders link to view the company’s press office. 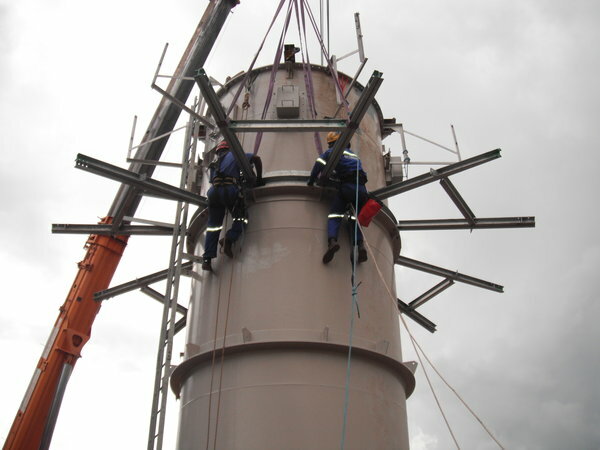 Skyriders (Pty) Ltd, established in 1998, is a leader in the South African rope access industry, providing cost- and time-saving solutions to clients in the power generation and petrochemical industries who require rope access aided inspection, NDT and maintenance work to be done in difficult to reach, high-up locations.